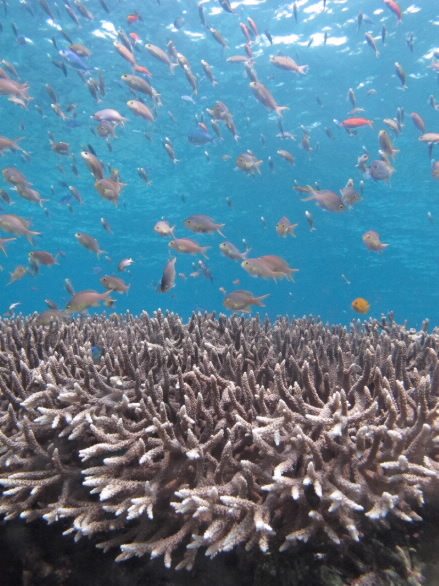 A simple test of the number of fish living on a coral reef can be used as a roadmap to restore degraded reefs and fishers’ livelihoods according to a global study published in the journal Nature. An international team of marine scientists surveyed more than 800 coral reefs worldwide to develop a diagnostic test of reef health. "By studying remote and marine protected areas, we were able to estimate how many fish would be on a coral reef without fishing, and how long it should take newly protected areas to recover,” says study lead author, Dr Aaron MacNeil from the Australian Institute of Marine Science. 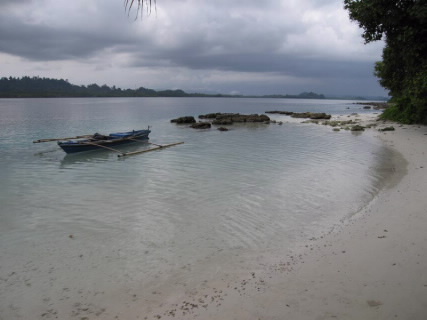 “This allows us to gauge the impact of reef fisheries, and make informed management decisions that include timeframes for recovery," Dr MacNeil says. Coral reefs are home to thousands of species of fish and provide food and income for millions of people, particularly those in the developing world. Yet the scientists found that the vast majority of fished reefs they examined had lost more than half of their fish. Marine reserves are the most effective way to recover fish populations, however there are no benchmarks to determine if the protection is effective, or whether a reserve has recovered enough to be fished again. The authors say it is also not feasible to lock away reef resources indefinitely when so many people depend on them for their livelihoods. To solve this problem, the team studied the fish biomass on coral reefs around the world and discovered that near-pristine reefs contain 1,000 kilos (a tonne) of fish per hectare. Using this figure as a benchmark, they found that 83 per cent of fished reefs have lost more than half of their fish biomass (volume of fish). From their work, the scientists were able to determine that once protected, previously fished reefs take about 35 years to recover, while heavily depleted reefs take almost 60 years. Co-author, Dr Nick Graham from the ARC Centre of Excellence for Coral Reef Studies at James Cook University says it was encouraging to find that substantial biomass remained where some form of management was in place. “Changes in fishing practices can result in a significant return of key fish species over time,” Dr Graham says. “Restrictions on types of fishing gear, species caught, or local customs, all ensured substantial recovery in fish feeding groups. However, only completely closed marine protected areas successfully returned large predatory fish to the ecosystem,” Dr Graham says. Dr MacNeil says fisheries managers have the potential to arrest a key threat to coral reefs. Co-author, Dr Tim McClanahan, from the Wildlife Conservation Society in New York, says the findings will help fishers determine how much catch to take and how much to leave behind. “The methods used in this study are simple enough that fishers and managers can take the weight and pulse of their reef and keep it in a healthy range that had not previously been defined,” Dr McClanahan says. The paper, Recovery potential of the world’s coral reef fishes by M. Aaron MacNeil, Nicholas A.J. Graham, Joshua E. Cinner, Shaun K. Wilson, Ivor D. Williams, Joseph Maina, Steve Newman, Alan M. Friedlander, Stacy Jupiter. Nicholas V.C. Polunin, and Tim McClanahan is published in the journal Nature.